The Buyer: Mr. Tom Bart is a successful corporate executive with experience in global strategic management. A GE veteran, he built a very strong background in manufacturing procurement, supply operations, and contract negotiation. 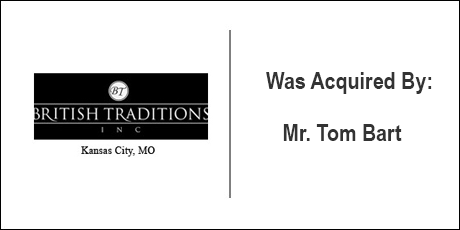 The Seller: British Traditions, Inc. is a Kansas City based manufacturer and reproducer of antique European cabinetry and furniture. British Traditions recreates and wholesales its craftsman quality pieces for designers and high-end furniture stores throughout North America. The Close: British Traditions had been taken to market by a local merger and acquisition firm that was unable to close the transaction. DVS reached out to the company on behalf of Mr. Bart and was able to structure a deal and source financing that met the objectives of both the seller and buyer. Mr. Bart credits the DVS’s creative deal structure with affording him the cash flow to grow the company organically and through additional acquisitions within eighteen months of the original transaction.